Within 10 minutes of arriving in Turin, the first signs of the importance of football in the city became very evident: our taxi driver, in his obligatory Fiat, asked if we were in town to see Juve. He was clearly a fan, his small pennant hanging from his mirror betraying his allegiance. He smiled and nodded as we told him we were going to the game on Monday night. Football, the global language. As we drove into the city centre, we came across several posters bearing the very distinctive and somewhat controversial new Juventus logo. Even the football fixtures are stylishly advertised in Turin, excellent use of monochrome and imagery. It’s not catwalked Milan or reliced Rome, but Turin is a delightful city, with the Alps providing a surreal backdrop. It was the setting for the ’60s British movie, The Italian Job, but it is all about cars, chocolate, coffee and the home of two notable football clubs, Juve and of course, Torino. Juventus have evolved into a global club while Torino have had their moments in the sun, but not in recent times. 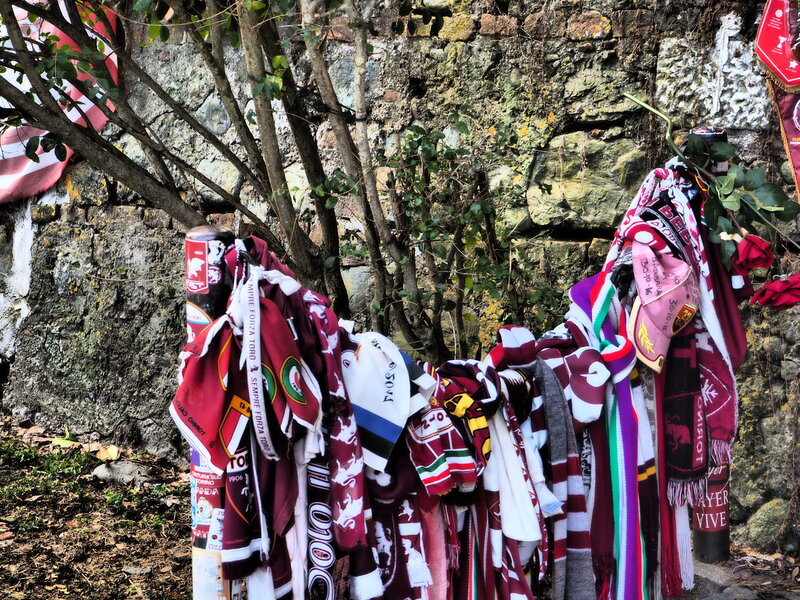 Sadly, indeed tragically, Torino’s greatest team perished in the hills above the city, the infamous Superga disaster that still moves hundreds of people every year, the loyalists climbing the very steep hill to the Basilica, on May 4, to pay homage to Grande Torino, the team that was wiped out in a plane crash in 1949. At the rear of the Basilica, there they are, celebrated in words and pictures with dozens of tributes from various clubs and individuals from around the world. Football is a strange game, fans hate each other, sing disparaging songs about their opponents, but something like the Superga crash unites them. Does that not really encapsulate the human condition? It’s the Tommies and Germans coming out of the trench, the applause for an injured opponent, the rivals coming together for their country, the Millwall fan helping victims of terrorism. Sharing the grief and raising your hat in respect. We were not alone high up on that hill, dozens of people had circumnavigated the Basilica, standing in silence, some shaking their heads in sorrow. Italian football may have taken a series of hits to its reputation, scandals playing their part in eroding the power and credibility of the game. It’s dropped a long way from the halcyon days when the world’s best players were drawn to Serie A. But while the Milan duo are still struggling to regain their position, despite new investment, Juventus have emerged – after their own scandal – as the only Italian club currently capable of competing with the likes of Real Madrid, Barcelona, Bayern Munich and the English clubs. That may change, for in 2017-18 as Serie A promises to be more competitive, which is good for Italy but comes at a time when another blow was received in the form of the Azzurri failing to qualify for the World Cup for the first time in decades. Juve have already shown they can rise above the malaise that has affected Italian football for all too long, and they’ve been able to compete in the transfer market quite effectively. Their recent policy has been to take the best players from their domestic rivals, witness the acquisition of Gonzalo Higuain from Napoli for €90 million, Miralem Pjanic from Roma for €32 million and Paulo Dybala from Palmero for €32 million. It’s a similar strategy to that adopted by Bayern Munich in Germany – grab the best and weaken your rivals. At the same time, Juventus’ UEFA Champions League team of 2016-17 was showing signs of age and their time may have passed. They were well beaten by Real Madrid in the final which suggests that in order for Juve to compete against the likes of Real and Barca they will need to constantly regenerate themselves. When Game of the People visited Juventus Stadium to see the Bianconeri take on Genoa, six of Juve’s UEFA Champions League beaten finalists started the game. The current team, which incidentally includes seven players from the Guardian Top 100, is certainly good enough to dominate Serie A in 2017-18, although Napoli are making a strong bid to unseat them. But the question is, do Juventus have the vigour and creativity to sustain a European bid? If it is all about money – and it is, of course – then Juventus are hanging onto the coat-tails of the top half dozen clubs in Europe. Ranked number 10 in the recently-released Deloitte Football Money League and eighth in the Soccerex Football Finance ranking, the club’s challenge is whether they can keep pace, let alone improve on those placings. Being owners of their own ground gives them a big domestic advantage, but there is a strong reliance on broadcasting revenues to the tune of 57%. Juve’s total revenues for 2016-17 were €406 million, making them the first Italian club to break that barrier, but they’re still way behind the likes of Manchester United (€676 million), Real Madrid (€674 million) and Barcelona (€648.3 million). Market watchers have suggested that Juve’s position is under threat, largely due to the Italian league’s relatively low TV broadcasting fees but also because they are almost at full capacity when it comes to attendances. Since Juve moved into their fine new 41,000-seater stadium in 2011, their attendances have been consistently above 38,000 which equates to around 95% utilisation, in other words, almost a full house and limited upside. Torino, who have been in Juve’s shadow for years, attract around 17,000 to the Stadio Olimpica. Certainly, Juve have stolen a march with their new logo, for it is one of those symbols that is both instantly recognisable and easily reproduced. A club like Juventus is not merely aiming at its home market, it is also looking to Asia, Africa and the Americas. It’s as much about branding as anything else, and Juventus’ brand is still in the ascendancy, according to the Brand Finance consultancy, which claimed the club’s identity had improved by 72% in 2016-17. 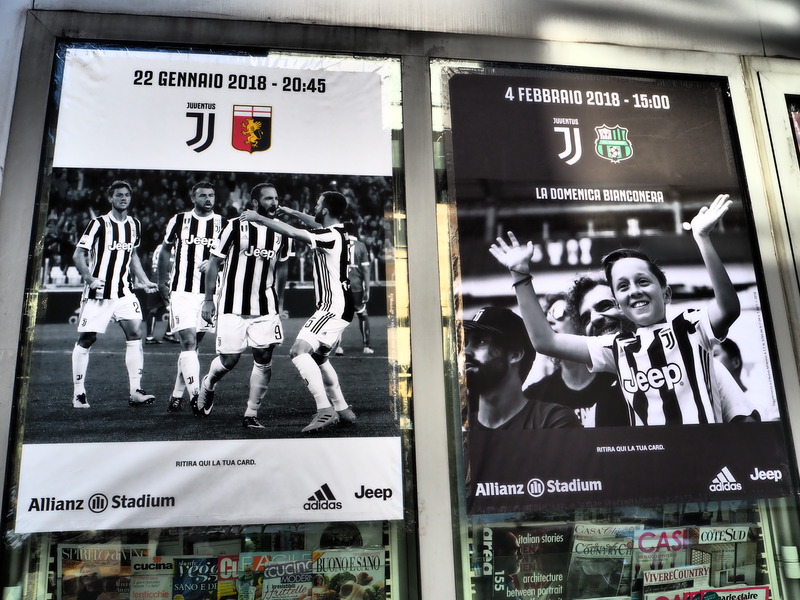 As we found in our cab ride from the airport, Juventus’ match posters are eye-catching, perched alongside the quintessentially Italian kiosks that leave you feeling envious that we’ve largely lost that type of localised facility in Britain. 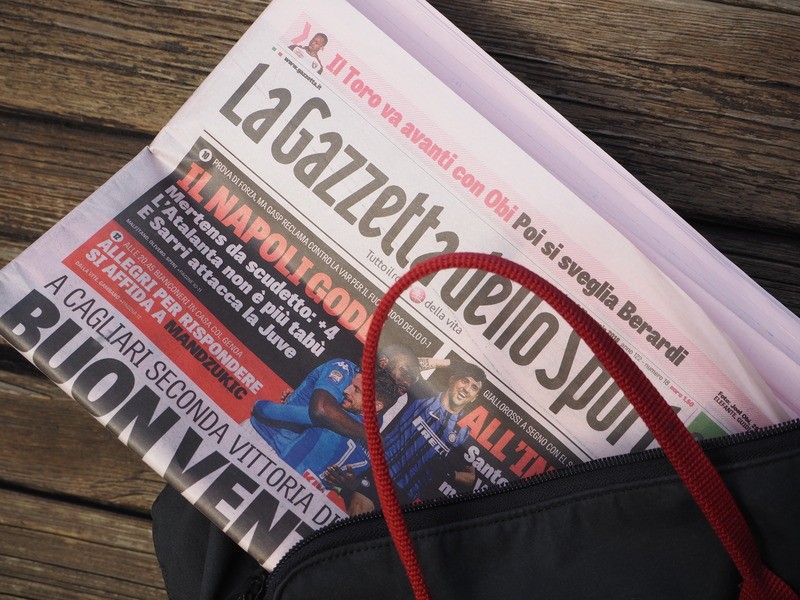 At these kiosks, you can buy a multitude of newspapers and books – the printed word is still very important in Italy and sport has a number of daily newspapers, not least the iconic La Gazzetta dello Sport, with its pink pages and intensive coverage of every Serie A game. For a mere € 1.50 you have the Italian football experience captured (if you can read Italian, of course). Italian is one of the world’s beautiful languages and Italian football gives its teams and derbies very descriptive names that roll off the tongue. Juventus have a string of nicknames to choose from, including the Bianconeri (the black and whites), La Vecchia Signora (the old lady), Le Zebre (the zebras). Torino, as well as Il Toro, are also known as Il granata (the maroons). And the meeting of the two teams is the Derby della Mole, a reference to the Mole Antonelliana, a major landmark in the city, which includes an excellent cinema museum. Close by this very striking tower, some graffiti declares “Del Piero for ever”, reminding us that Juve’s fans are everywhere, not just in Turin, but also across Italy. Juve’s nationwide support has something to do with the historic growth of Turin, and in particular Fiat, who drew thousands of workers from the south of Italy in the 1950s and 1960s. Turin’s population grew from 719,000 in the 1950s to 1.2 million in 1971 largely die to migration to the north. The southern Italians adopted Juventus, the club effectively owned by Fiat and when they returned home, they took that allegiance with them. Hence, Juventus fans are as ubiquitous as Manchester United supporters are in England and probably why our friend in the bookshop believed that Torino are for the “real” Turinese, in much the same way that Manchester City used to boast that the authentic Manchester experience belonged to them rather than United. Our visit to Juventus versus Genoa began by metro then a tram that snaked its way through the city to the stadium. It may not be a huge football venue, but it is a very comfortable, aesthetic stadium. Genoa fans were penned in at the bottom corner, their number no more than a well supported National League team would take away in England, but it was Monday night and the game was live on TV. Every time, I’ve seen a game in Serie A, the lack of away fans has been noticeable. 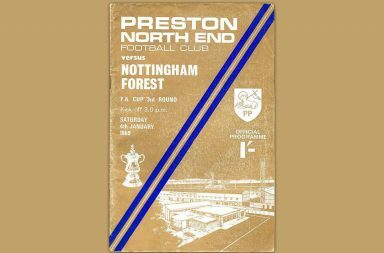 But then, the crowd was only 29,000 and almost 10,000 below the average. One end was empty, behind the goal. The Curva Sud was closed in punishment as part of the ongoing case regarding claims of links to the Italian mafia. Club president Andrea Agnelli was banned for a year for his supposed role in selling match tickets to supporters with mafia links. Scandal rearing its head once more, which Italy can well do without, and the absence of the ultras certainly made for a rather subdued evening. Juventus won 1-0 thanks to an early goal from Douglas Costa, but it was a scruffy game. Juve needed to win to keep up with in-form Napoli, so it was a case of result over performance. Then it was back by tram to Porta Nouva station watching the glow of the stadium disappear into the distance. The following morning, the Gazzetta devoted no less than four pages to the game. “Minimal Juve,” said the headline, implying that Juve had done just enough. “La Juve non incanta ma piega il Genoa e riavvicina il Napoli” – Juve had won and drawn closer to Napoli, but they hadn’t set the world alight. As I slurped my reviving coffee, I concurred with that summary as well as the poor ratings for Pjanic and Higuain, the latter, particurlarly, had not had a look-in. Dybala – the subject of a lot of transfer talk – was missing, having sustained an injury in the previous game. You sensed that it’s not enough to win, you have to win well when you’re Juventus. With six successive scudettos under their belt, anything less this season would seem like failure and in the UEFA Champions League, two finals in three years means that a decent run has to be factored into the club’s balance sheet. They play Tottenham Hotspur in the round of 16, but it is already looking like a tough field to come through. Although Juventus die-hards will be twitchy about the growing threat of Napoli, it is good for Italian football that Turin’s finest are being seriously challenged this season. As I have written before, UEFA needs a strong Italy, the country needs Serie A to rediscover its magic and we need clubs like Napoli, Milan and Inter to live up to their heritage. For the time being, Juventus are living among the European elite, but they might just have to work harder than some of their peers to stand still. They have the right ideas and they are in a football-mad location. 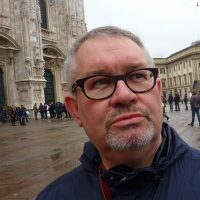 Turin is certainly one of the world’s great football cities and Juventus are one of the band of elitist clubs that will shape the future of the game.